This topic contains 64 replies, has 8 voices, and was last updated by Micky 5 months ago. 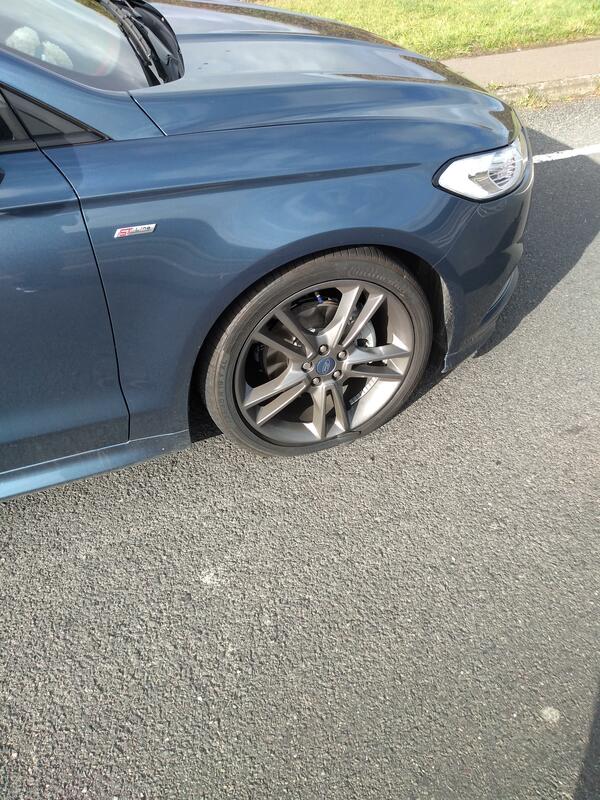 Well now today at 11.15 my MONDEO suffered a front Tyre blowout,bit of a bang ,phoned RAC 11.30 ,they said you are a priority case 30min we will be there ,then car could go to quickfit and get sorted BUT, RAC then egnored us no updates no offer taxi no help, we where stuck on a busy main road loads traffic ,no RAC ,on the phone they just kept lieing, oh we will call you back ,but no call back at 15.30 4 hours later a van came BUT he could not fix as ,motability cars don’t have spare wheels just inflation kit ,he had temp wheel but had wrong washers so could not fit it ,,said he would tow with front lifting device, BUT could not do that as my modern car would not fit with flat Tyre , by now it was far too late to order the correct Tyre at quickfot ,anyway we where still on side of road ,a priority call ??? he said I will have to get a recovery low loader ,we had been on road 5 hours now ,it got dark and alot of traffic, one police car stopped said good luck, eventually low loader arrived said he had been given wrong postcode by RAC , he loaded car and us got home 19.00 over 7 hours , car is still flat Tyre I now have to make an appointment at quickfit to get it fixed tomorrow , my birthday on Saturday was going cellebration ??? 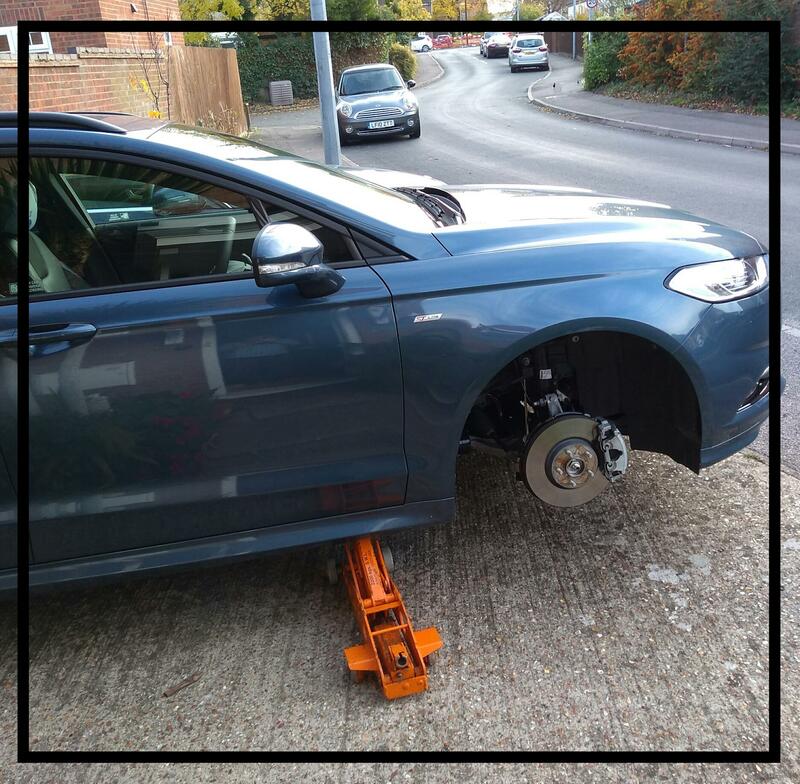 ,Motability need to review useing RAC it’s terrible service, has recently been shamed on BBC Watchdog, I have had a desasterouse day I feel not well at all ,let down by Ford as I called Ford support,motability for employing RAC and RAC. AND SO THIS NIGHTMARE GOES ON, quickfit won’t repair today I’m told by an abrupt quickfit lady Jane they won’t do it till Sunday as people have booked ahead of me ,,tried to explain what has happened ,she said makes no difference I will have to cancel 70 birthday hotel thing. I have spoken to motability again , surely it’s not supposed to be as stressful as this haveing motability car problems . I wouldn’t mind but my renewal was just up and they’d raised my cover by £125 and said they’d already taken the money 18 days early? So if I’d been away with work, by the time I might have realised my 14 day cooling off period was already over. Luckily due to the tyre con etc I did find out and cancelled. I agree aboug the gunk. Ive never been able to make it work. Even if it’s been a small nail. My maye ised to carry a motorcycle repair kit as a get you home. It was like an auger tool, obviously it never worked on a side wall rip. But you found the whole, with some fairy liquid. Pulled out the nail or screw. Pushed this tool in the tyre car jacked up. That made the whole the correct size, then there was a solid rubber long round strip and you use resin glue and use the tool to push the strip inside the whole. Wait a minute or so and inflate the tyre, the week never left the car? He sore by it? Mickey it should be that straight forward. Pick up your wheel replace the tyre and put it back on. How can they turn it into such a big deal? Maybe ring your local kwickfit and make sure they have the tyre size and brand ready, so not to hold it up. AND SO THE SAGA GOES ON had phone call from a Jane quickfit mobile , bit abrupt saying they won’t do repair until Sunday as people have booked in before me ,tried to explain all problems I’ve had ,she said makes no difference, so it goes on, motability are trying to help resolve this nightmare, they have asked RAC to attend my house miday today take wheel off take it to quickfit 1 mile down road get it repaired ,I have phoned quickfit to ask them to order the Tyre, then return & put wheel back on, after yesterday’s RAC effort I hope they do this, also offered motability hire car,. It’s not ended yet . Alround bad experience . SORRY IVE PUT SAME MSG ON TWICE I’m bit stressed made so many phone calls so many problems put my way ,I’m not sure what I’m doing. Good idea Phil ,I thought of that spoke to local quickfit manager Steve ,this morning very helpful said he will order Tyre , RAC said their van be here 12.30 ,they are now keeping me informed. My S-Max has a space saver fitted as standard, I thought Ford had gone back to fitting space saver spare wheels for all their Mondeo’s in 2015 except the hybrid which gets the can of goo?? Micky don’t get cancelling your Birthday trip and stay, if it’s not sorted by end of the day, phone Motability and insist on a hire car due to appointments. They will have a hire vehichle sent out straight away for you. Apologies to you Micky for not seeing your post sooner, and so sorry to hear of this fiasco. I do hope you get it sorted today, and if not please follow JS advice on phoning Motability and getting a hire car sorted. Can you also please ensure that your complaint with motability is formal – if you are not sure, phone and check with them that you will receive written acknowledgement of your complaint. May i also suggest you do the same with RAC. I can provide you with CEO emails of both businesses if you would like to complain by email and go straight to the top – personally this is what i would do if put in your situation.. i would be spitting feathers! I have contacted motability to query if we are able to purchase and use a competitors roadside assistance service. The initial response was that it is recommended we use RAC. I gave concerns about the watchdog people and 2 other people i know who have been effected by the RAC sub-service. They replied … and this is almost laughable….. When i informed them the 2 other people are motability customers, they just said they should contact them! Anyhow, so i pushed further being that it was just a recommendation that we cannot use an competitors service. However they then replied saying they would not allow an alternative breakdown company to cover a motability vehicle. Here’s a copy of the transcript – Best of luck Micky, keep us updated, you’re one of the family here so we feel for you and will try and help where we can. There has also been complaint on the Caravan and Camping Club things are going downhill fast for RAC. Thanks Trev for confirmation. There is a lot of difference between Recommend and Must use. I like the way you pushed for a definitive answer. Hi folks well an RAC man came so rude so unbelievable he was rude agressive said my wheel was in his words f***** and he would drive it a mile to quickfit ???? or put temp wheel on me go to quickfit and wait for it ,after all this distress I didn’t feel like that, he left. GOOD NEWS IS second RAC man attended 40min later ,Stuart very kind friendly called me Micky ,he has taken wheel off and taken it to quickfit where they say they have the Tyre, and will return it ,said my wheel is fine and told me to report this guy , I suppose it’s just another part of this bad experience ,thank God for Stuart and hope he gets Tyre fixed . Can I ask what part of the country are you in? Cambridge , just had call from motability manager ,we think it’s getting sorted at last . And wheel should be back on car soon . Yes thankyou Trev, I understand motability can’t just remove RAC ,there are many constraints ,contracts etc , but whether motability reuse RAC when contracts up for renewal well they will need to improve alot ,looking at my and others experience. Good to hear that it is sounding that it is now coming to an end. I am not defending the RAC one little bit as I would be the first to have a go at them but I can assure you that this happens with all organisations and has done for years but it is becoming more known due to social media. I saw some nightmare incidents in my 21 years and not only RAC. Thank you Trev ,interesting & newfi. Well Stuart back wheel on car so I’m mobile again, try forget all about it . Well done Stuart RAC . Nice one Micky, being mobile again is the main thing. Have a fantastic weekend at your friends. I know you shouldn’t have to do this, but I would keep my eyes open on t’interweb or at a local scrappy and see if they have a full size spare or a space saver that fits your car, which you you can get cheaply. Providing of course, you have a wheel well in the car boot, or can store it somewhere else on-board. Just imagine if you had already set off for your weekend away when this hassle started, or were on the way to the airport to start a holiday etc. The wasted hours and hassle endured puts spending a few quid on a spare/space-saver into perspective. Thank you Mike & Trev , going to eat then get some sleep thank you. Many cars these days don’t even have a space for a spare wheel, even a space saver. I have had to use the emergency inflation kit on two occasions, each time locally. On both occasions I was able to get to Kwikfit. It is a worry on a long journey, particularly if you take the car abroad. 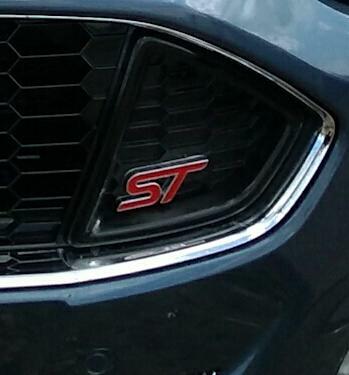 On some fords it used to be a free option, I know it was on both my new ST models and my mk2 RS. But some manufacturers now use the space for a spare as a sub woofer for the entertainment system. Lets hope you don’t need RAC call out for a while mickey. I have a Bose woofer in the boot of my Mazda cx-5 Phil, but the space saver tyre, if i had one, would fit around it. I say if i had one, as rrp for the tyre is £350, cheapest i can find is £305!